The perfect partner for ALL organic tans. The only mitt you’ll ever need to use again! 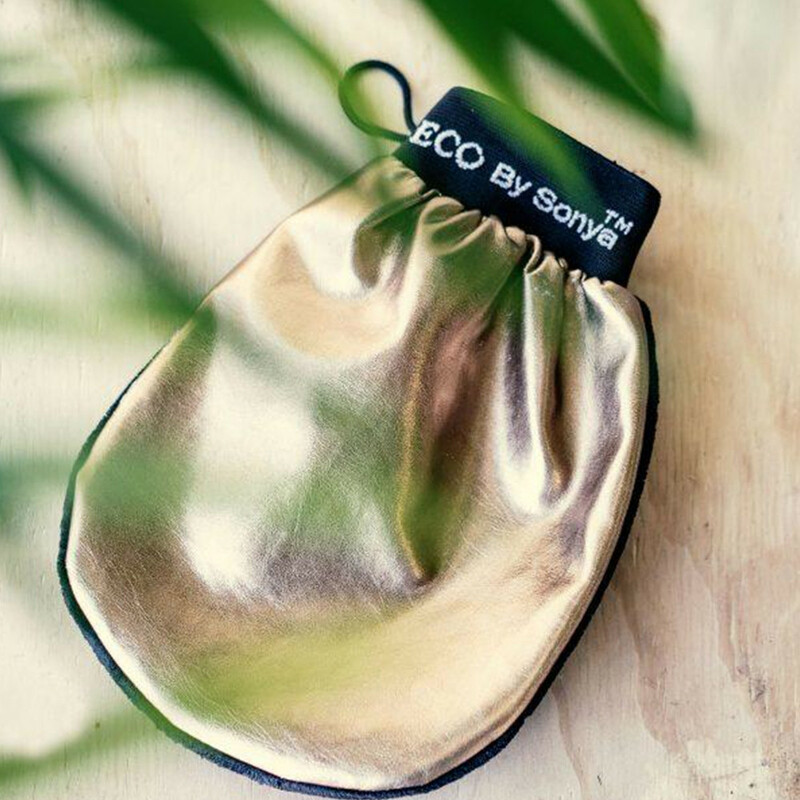 Eco By Sonya's NEW Luxurious Double Sided TAN APPLICATOR MITT. This NEW luxurious Double Sided Tan Applicator Mitt is made from natural and recyclable fabric and material. Reusable, simply hand wash. Application: Pop your hand inside the mitt and apply organic tans directly to the dry mitt or onto clean dry skin. Rub mitt over body in circular motions starting at the ankles, working your way up. We recommend fluffy side for mousse/creams and smooth side for tanning waters. Reusable, simply pop me in a wash bag on gentle cycle or handwash after use. Rinse immediately after use. For best results, exfoliate with Tan Remover Glove and Pink Himalayan Salt Scrub 24 – 48 hours prior to tanning for perfectly glowing, polished, beautifully moisturised & smooth skin.